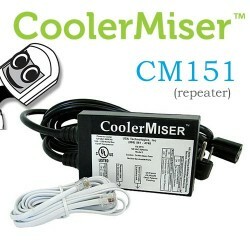 CoolerMiser CM171 Controller with internal Sensor Repeater for indoor use. 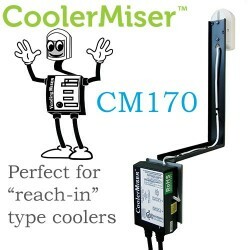 Use as secondary unit with a CoolerMiser CM170. 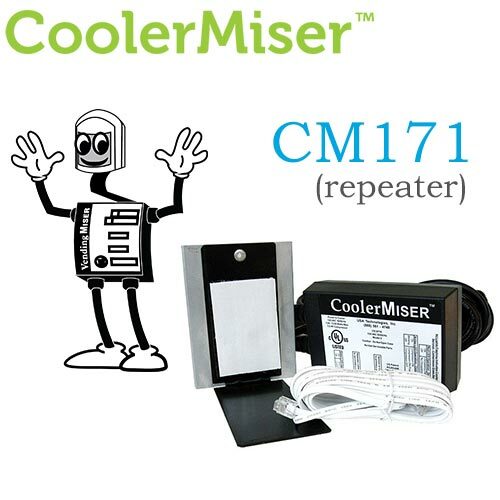 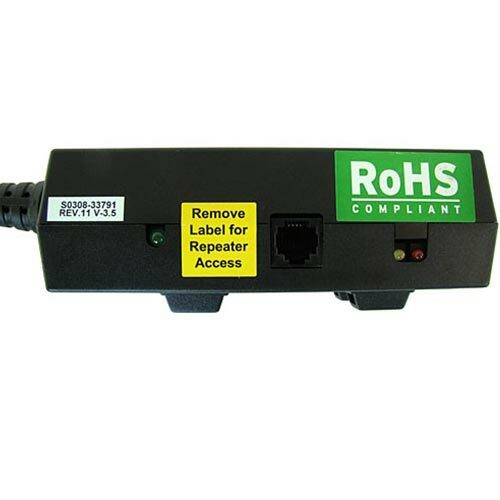 Includes a 10′ repeater cable to connect to a CM150 or CM170. 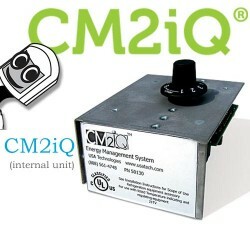 Up to three CM171 secondary units can be connected to a primary CoolerMiser for a total of four units controlled by one sensor. 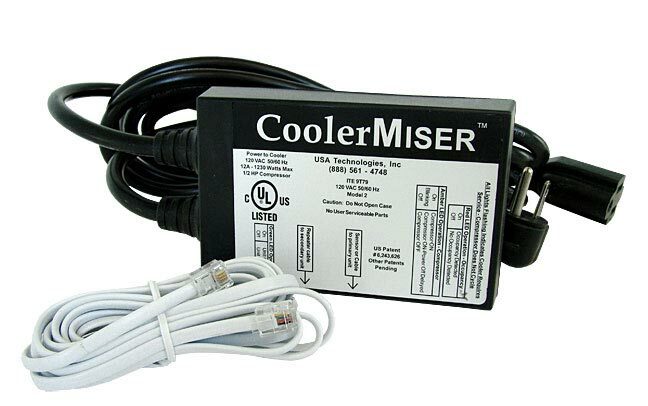 CoolerMiser controls glass-front coolers that contain non-perishable goods. Machines suitable for control by CoolerMiser typically have sliding glass doors or pull-open doors. Several Coolers in single area? 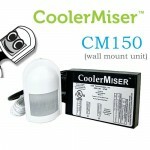 Use with the CM170.